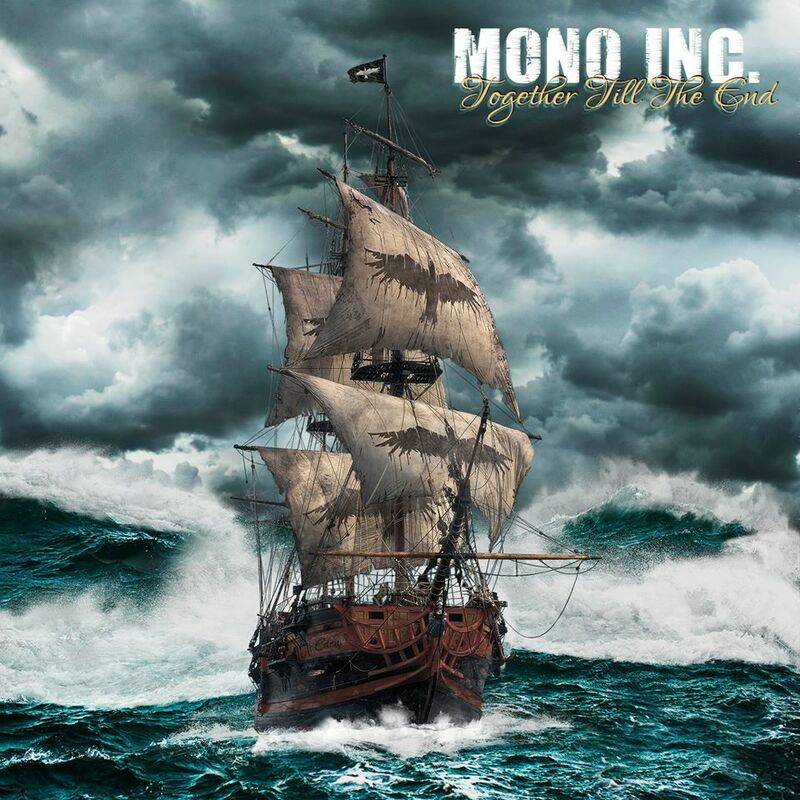 This is the ninth album by German rock band Mono Inc. If you haven’t encountered Mono Inc. before, then I suggest you prepare yourself. This is a larger than life band that need to be approached in this context. Together Till the End is full of colourful rock that has Gothic/electronic flavours to it. The band deal in tunes that are infectious and addictive. Their music is full of singalong anthems and catchy choruses. The songs follow the standard verse/chorus template and are brightly upbeat and full of energy. The tracks are jaunty and consistent, making for an easily digested album that is hard to dislike, (unless you just don’t like this kind of thing at all, of course). There’s no bite or aggression here and I’ll be the first to admit that a large portion of metal fans will find this too wishy-washy and lacking in heaviness for their tastes. Yet, if you have a soft spot for the flamboyant European metal/rock scene, then there’s a fair amount to enjoy here. The main vocals are well-performed, and I like the female singing especially. The latter is frequently used as backing vocals to the former, which is particularly effective. Combined with the artwork, the theme of the album comes across well through the music. Who needs ugly death metal or harrowing black metal when you have something as bright and upbeat as this? Well, I do, actually. But still; Mono Inc. have produced a very enjoyable album of catchy, dance-friendly songs that I know I’ll be listening to more than I probably should. This entry was posted in Rock and tagged Electronic Rock, Gothic Rock, Metal, Mono Inc., Rock. Bookmark the permalink. I am having mixed signals listening to Mono in stereo. It was my bad attempt at a joke since mono is one speaker and stereo 2.